The third Open Ear event “Memory” went very well featuring a great new performance from Janek Schaefer. 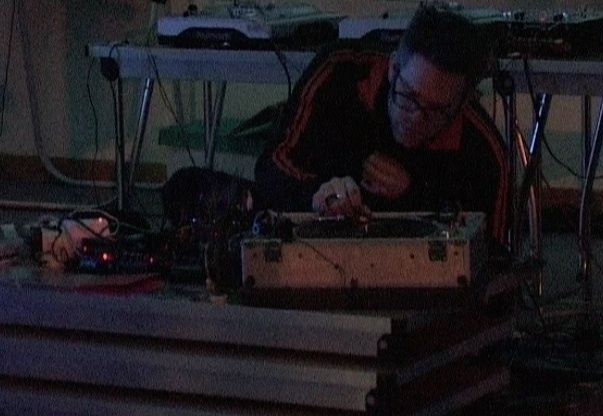 Bob Levene from the “Automated Noise Ensemble” played recordings of cymbals engraved onto cymbals via a turntable along with another group piece on prepared turntables. Pictures below, videos to follow soon..
Janek Schaefer performing a new piece composed with children’s records. 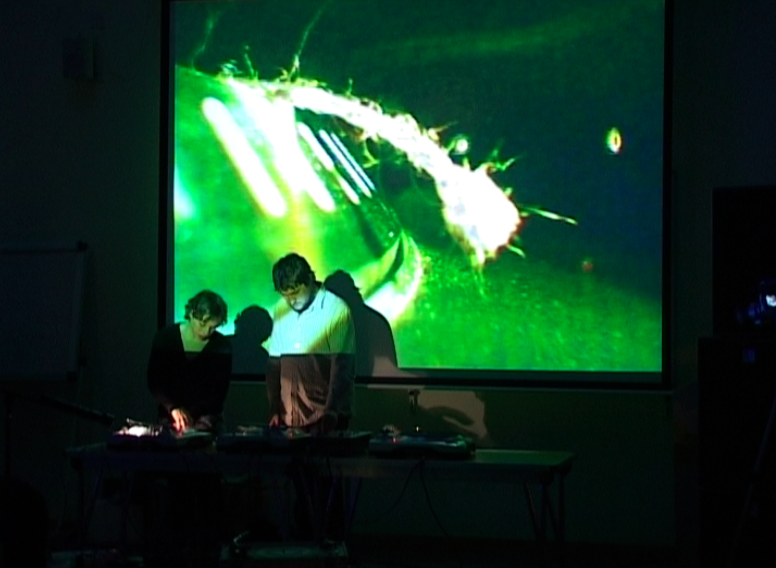 Automated Noise Ensemble performing a piece for prepared turntables.